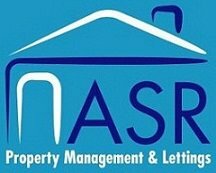 We aim to offer a service that is second to none and that’s why we find Landlords choose ASR. Landlord fees can be found in each service as listed above (tenant find, rent receipt, fully managed) – click on each link to see these listed accordingly. These principles are at the very heart of all the staff at ASR and we will ensure to do our very best to uphold them. All client monies are held in a client account (ASR Property Services Ltd are not a member of client money protection scheme).